A sheltered oasis, clustered around a waterhole and set in the pristine calm of its own private reserve, Sweetwaters Tented Camp is in a class of its own. 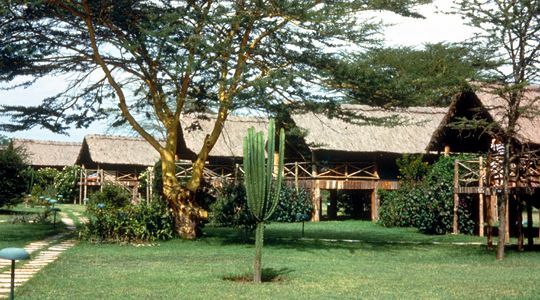 Abounding with wildlife, unfettered by the more rigorous strictures of the Kenyan National Parks and designed to offer a charming blend of under canvas ambiance and uncompromising luxury, it has long been the preferred retreat of wilderness and safari lovers alike. One of only four private game reserves in Kenya, Sweetwaters Tented Camp excels in the provision of privileged seclusion and private game viewing. Thanks to its private status it also allows such unforgettable pleasures as night game drives, guided bush walks and both horse or camel riding across its game-teaming plains. 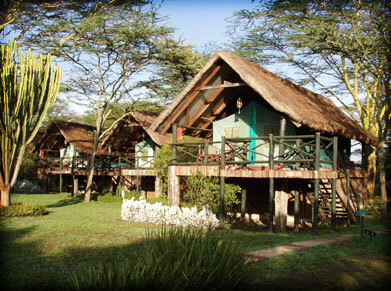 Accommodation is provided in 39 luxuriously appointed tents (13 doubles, 26 twins). 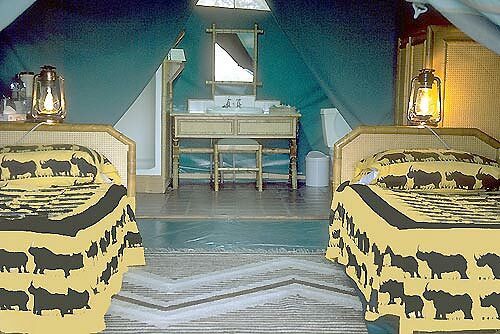 Each tent has a thatched roof, an en suite bathroom and its own verandah with views over the waterhole. Full room service is provided. The camp prides itself on the quality of its cuisine offering a 5-course "table d�h�te" dining experience every night, and a selection of African, Asian, and international dishes. The "Rhino Restaurant" is accommodated amidst the quaint charm of the main house, which was once the home of the Ranch Manager. Here open windows look out over stunning views and the traditional d�cor features soft sofas, traditional prints and splendid stone-built fireplaces. 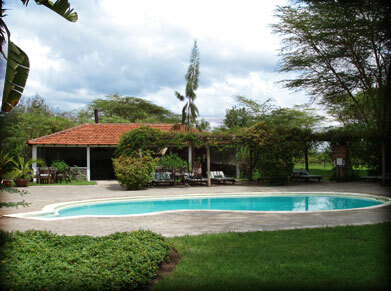 - Transportation to/from Lodge: distance from Nairobi 217 kms, transport by road, Nanyuki Airstrip. - Check in facilities: express check-in and check-out facilities, warm towel and welcome drink. - Guest room services: laundry and valet services. - Special features: gift shop, sundowners, bush breakfast, lunch and dinner. - Business services: secretarial services, internet services available. - Places of interest: Mt Kenya, Waterhole and Saltlick.